Each lecture was a tightly woven argument, with none of this trailing-off half finished because time had got away. You came out, not necessarily agreeing with him (in fact, I often did not agree with him), but having witnessed a historical argument being constructed, and supported, in front of your eyes. Considering Hirst’s life and work, one is struck by the labels he attracted: the thinking man’s John Howard; an historiographic conservative; sceptical of big visions; a contrarian. Many observers privately and publicly placed him on the Right while quickly adding ‘but nevertheless …’ The most oft-repeated phrasing, however, ranked him as one of Australia’s ‘finest’ or ‘greatest’ historians. Hirst’s dissent from what he called the left progressive consensus within academe concerning the nation’s past, present and future inevitably led him to be labelled as a contrarian … Hirst had no peer as a culture warrior, and these features of his work were a manifestation of his fierce independence combined with a brilliant mind. But he defied simplistic categorisation as a partisan because his politics were idiosyncratic. Dr Hirst added great value to Australia’s cultural landscape and was a mentor to many historians as well as to many who work in our national collecting institutions. He was a bloody good historian, albeit of a conservative stripe … He was if nothing else honest, but he was much more besides – insightful, a great writer and a generous colleague. 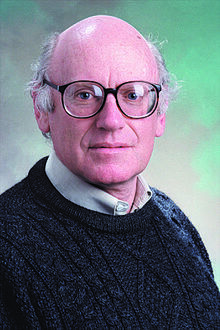 Emeritus Professor Stuart Macintyre, writing in The History Wars (2003) described Hirst as ‘an accomplished and strikingly original historian’. He had a sociological imagination of great originality, and the historian’s gift of synthesising vast amounts of material and seeing new patterns and meanings. His work will surely endure, for its originality, scholarship and deep intelligence. My own reaction to Hirst is necessarily limited to his published writing. I neither studied under him, knew him personally, nor saw him first hand during his numerous public campaigns and institutional and cultural involvements. To me, three things stand out. One is the range of Hirst’s intellectual interests. His first monograph, Adelaide and the Country 1870-1917: Their Social and Political Relationship (Melbourne University Press, 1973) was followed by many others including, remarkably, The World of Albert Facey (Allen & Unwin, 1992), A Republican Manifesto (Oxford University Press, 1994) and Kangaroo Court: Family Law in Australia (Quarterly Essay, 2005). Hirst practised – and apparently urged his students to write – big history. He was interested in big canvasses, influences and contexts. 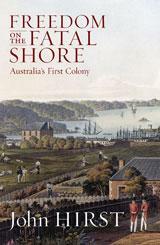 His early published academic works on colonial New South Wales (first published in the 1980s and combined in 2008 as Freedom on the Fatal Shore) drew on a deep understanding of European history, as did the various editions of The Shortest History of Europe. 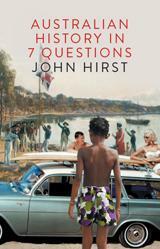 But Hirst was also interested in the entire sweep of eighteenth to twenty-first century Australian history. 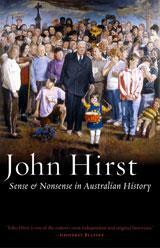 Something of this interest is evident in his Sense and Nonsense in Australian History (Black Inc, 2009) but to me is best illustrated by his individual contributions to The Oxford Companion to Australian History, which he edited with Graeme Davison and Stuart Macintyre (Melbourne, first published 1998). Here are over twenty articles of one to two thousand words each on major topics (e.g. Conservatism, Egalitarianism, Federation) and individuals (e.g. William Broughton, Billy Hughes, Lachlan Macquarie) and a matching number of shorter entries. All are elegant pieces of insight, analysis and summary, for me the undoubted gem being his essay on Bureaucracy. The second feature of Hirst’s legacy is the depth of analysis that lies behind his synoptic take on the sweep of Australian history. He never tackled a multi-volume history as did Clark or Atkinson, edited one like Burgmann and Lee, contributed a monograph to one like Bolton did for the five volume Oxford History of Australia, or produced a single overview volume like Macintyre. But, taken together, his The Australians, Sense and Nonsense, Looking for Australia (2010) and Australian History in 7 Questions (2014) give us the equivalent in themes and issues. Any attempt to cover over two centuries in half a dozen themes is asking for trouble, of course, and Hirst was anything but unaware of the challenges. His hilarious account of trying to produce a five thousand word document for the Howard Government to help new arrivals prepare for a citizenship test is testimony enough and, incidentally, a nice illustration of why he defied political labels (‘Australia: The Official History’, The Monthly, February 2008). Thirdly, there is a timely reminder in Honest History’s tagline ‘neither rosy glow nor black armband’. It is to be hoped that detailed and balanced appraisals of John Hirst’s entire career output will eventually appear once The Australian, Quadrant, Black Inc and La Trobe colleagues have emphasised what they see as his particular significance. We can still acknowledge now, however, that as public intellectual and public historian he did express partisan positions and was certainly ready to ‘out’ them in others. We should not, for example, overlook pieces such as his ‘The blackening of our past’ (IPA Review, December-February 1988-89, pp 49-54) which predated by four years Geoffrey Blainey’s deploring the black armband view of history. Another tough slap down, originally appearing in Quadrant in 1990 and reproduced in Sense and Nonsense (‘The Gallipoli landing’, pp 230-33), targeted ‘literary critics, semioticians and linguists’, represented by Alistair Thomson and especially Robin Gerster in Big-noting: The Heroic Theme in Australian War Writing. 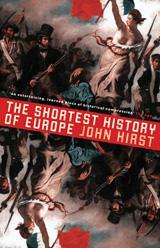 For students of myth, language and text, Hirst wrote, ‘what actually happened is even less important. Reality is not events themselves but the talk about them.’ Yet from the same pen there had come, in the late 1970s for Historical Studies, an appreciation of the pioneer legend. And in the late 1990s, a subtle pitch-perfect sketch of the importance of the bush ethos and of the partisan Russel Ward’s The Australian Legend (‘Ward, Russel Braddock’, Oxford Companion, p. 672). in his attention. Vale, John.